View More In Wire Strippers. 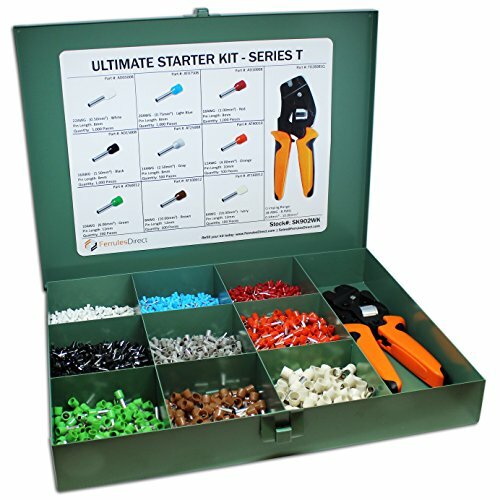 Essential Starter Kit -Insulated Wire Ferrules: 22, 20, 18, 16, 14, 12, 10, 8, 6 AWG. 5400 pieces total with Square Profile Crimping Tool. Encased in a heavy duty steel compartment box. High Gloss labeling for easy identification of parts. If you have any questions about this product by Ferrules Direct, contact us by completing and submitting the form below. If you are looking for a specif part number, please include it with your message.